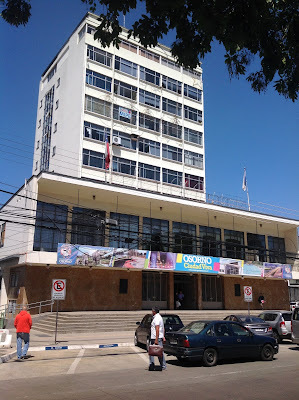 We received our permanent residency about a year ago and by law we should have gotten our Chilean driver's license but you know how life can be and the time just slipped by. 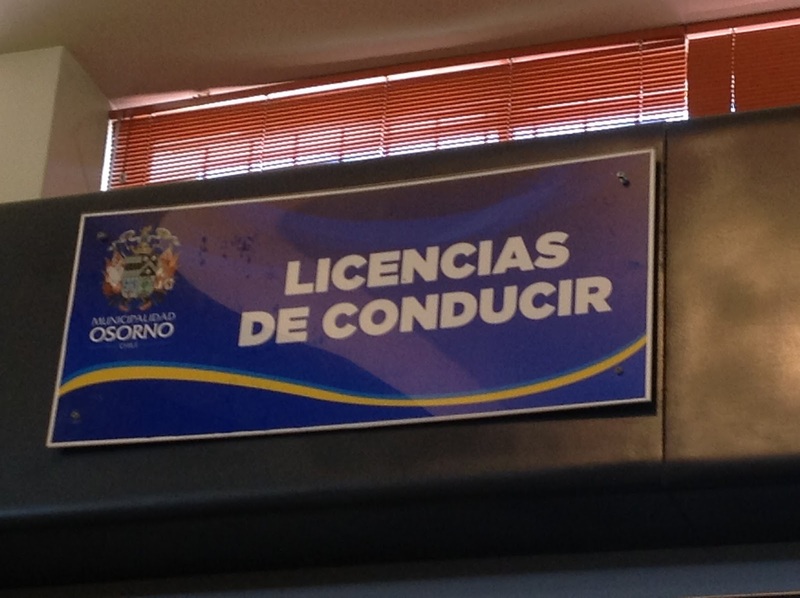 Despite the rumors we had heard of expats being taken to jail and fined for not having a Chilean license and despite the fact that we could study and take the test in english (effective in 2015), we just kept procrastinating. 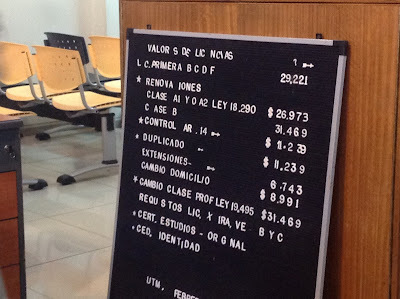 We were banking on the idea that the local carabineros don't know much about foreigners and maybe don't know that we should have our chilean license. So we haven't had any problems yet! 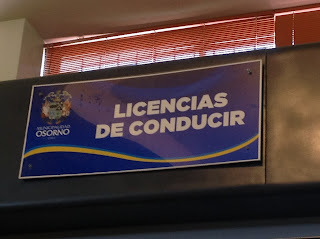 If you are just visiting Chile, you need a valid US driver's license and the Embassy recommends an International Driver's license which you can get from AAA but when we were pulled over the officer was not at all interested in that just the South Carolina license. This week we went by the Municipal Building in Osorno to see what we needed to do. The line was short- no number needed. I think the line is always short- most Chileans don't own a car. only 230 out of every 1,000 according to Wikipedia for 2013 (the US has 809 per 1,000 for comparison). Cars here are expensive and so is fuel and there is an extensive, reliable, and cheap bus system. 1. Your RUN card aka carnet or cedula.This is your national ID card which you should receive when you are approved for temporary residency. 2. A document proving you have received at least an 8th grade education. For us this was Jim's Bachelor's degree which had been notarized, legalized by the Attorney General of Florida, stamped by the Chilean Consulate of Miami, stamped by the Foreign Relations office in Santiago, and should have been stamped by the Education Ministry also in Santiago but the director of the office gave us a break since we didn't have this stamp and just had the document notarized again! by the local notary office next door. It didn't matter that Jim has been driving for 40 years including cars, trucks, tractors, airplanes, and submarines. They wouldn't just issue another license. He has to go through the process which includes a written test, driving test, and vision test. Check back next month to see if Jim passes his driver's test!